At IMS Dalt Vila venue, Fri 24 May. When postcard-perfect location meets quality dance music programming, a great time ensues. The grand finale of Ibiza's very own electronic music business conference - the International Music Summit (IMS) - is one unique party in the world. Taking place at the UNESCO World Heritage Site of Dalt Vila, which once guarded Ibiza Town, the party is worth it for its knockout stunning location alone. 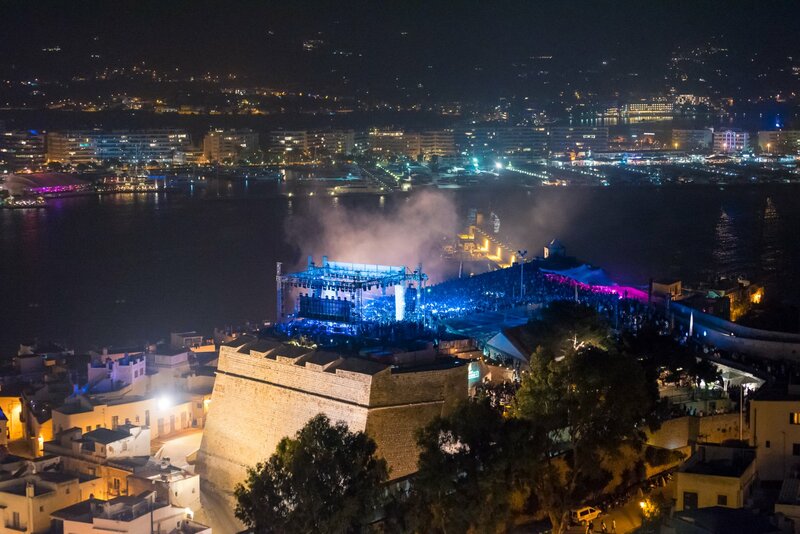 In the words of DJ Seth Troxler, "Being at IMS Dalt Vila, is the essence of being in Ibiza, it's the most beautiful view and the most iconic venue of the entire island." Add to that the regularly exceptional line-up and you are unlikely to find yourself at any other electronic music gig like it. For its 12th edition. On the Dalt Villa party stage this year, we have Adam Beyer, Agoria, Anna Tur, Charlotte de Witte, David Morales, Ida Engberg, Joseph Capriati, Luciano, Manu Gonzalez, Nicole Moudaber, Pete Tong and SOPHIE. In 2019, the open-air party returns on Friday 24 May bigger than ever. A special occasion, it has taken on the role as the official/unofficial start of the Ibiza season. After the final bass echoes have died out, you can roll into a weekend packed with opening parties in various clubs across the island. Check out last year's video then see below for confirmed line-up acts (updated daily) and the tickets to what is no doubt one of the best events on not only Ibiza but also the planet.